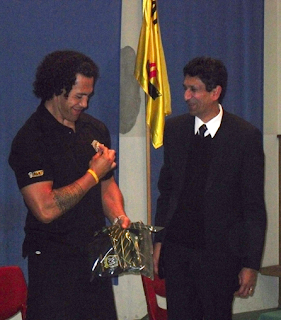 On Friday 20 May year 11 students were lucky enough to receive a visit from Ruben Wiki. Ruben talked about his life and all the lessons he had learnt along the way. His main message was about goal setting whether they were big or small and making sure you achieve them. he also showed some video clips of his rugby league career and a rather hilarious clip of the Kiwi Rugby League visit to Buckingham Palace.